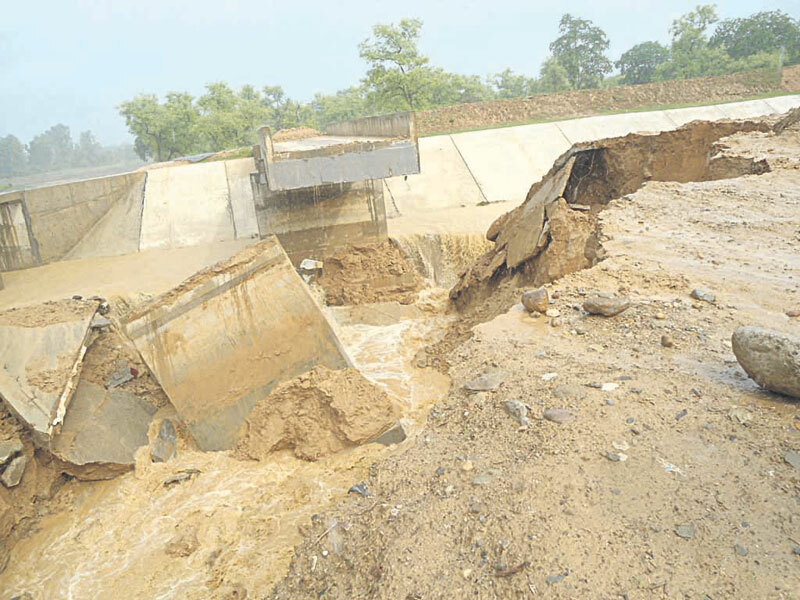 BANKE, June 29: The main canal of multi-billion Sikta Irrigation Project has broken down on Tuesday, leading to substantial rise in water level at Jhijhari River in Banke district. Locals of Dhakeri village in Mahadevpuri-5 are left in fear of being swept away by the sudden rise in water level at the nearby river. The canal broke down while authorities were inspecting it. According to the project office, they released greater volume of water during inspection leading to the break down. Locals claimed that the canal broke down due to the use of substandard construction materials by the contractor. “The main reason for failing to sustain water pressure is due to the use of inferior materials while constructing it. 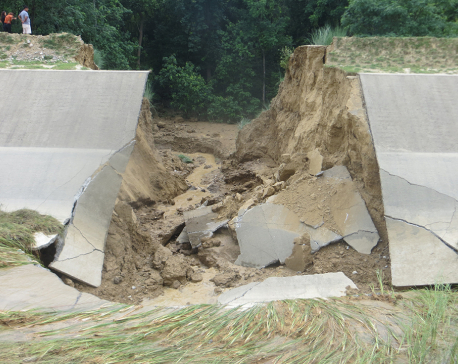 The whole settlement would have already been washed away had the canal been broken in the area of human settlement,” said Shreedhar Upadhyay, a local. The government had handed over the contract to build the main canal to Kalika CTCE JB. Locals have accused the contractor of negligence by using substandard materials. They have demanded inspection of the quality of the canal. Meanwhile, Project Information Officer Prakash Kari said it is common for canals to break down during inspection process. “Canals may break during inspection and testing. It is completely normal,” said engineer Kari. Claiming that the breakage of the canal was not related to its quality, he added that they would reconstruct and fix it as it is their responsibility. Krishna Kharal, district chairman of Rastriya Prajatantra Party stressed on the need to increase monitoring in order to lessen mistakes during the construction process. “The main contractor subcontracts the works resulting in dismal quality of the infrastructure. It results in incidents like this one,” he added.